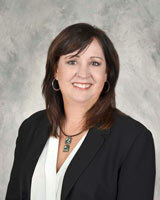 The firm was established by Debra Leffler Streeter in 2003 to serve the needs of families to help with planning. We offer services in estate planning, elder law, medi-cal, veterans benefits, and asset protection. We also assist families with guardianships, probate and trust administration. Our mission is to provide the highest level of personal service to our clients by first considering our client’s goals and concerns. After listening to our clients’ goals, we are able to explain the options and allow our clients to choose which plan is right for them. When you work with us, you have a team that is experienced in helping families like yours. We will educate you on all of the options and take the time to make sure you understand what you are getting into. Our plans are not cookie-cutter style, as we find not every family is alike, fitting into a single mold. Whether it is complex planning or simple planning, you have options and a choice. We have been doing this planning for many years and able to complete most plans in a short period of time. We asked our clients why they chose to work with us and what makes us different than other attorneys/law firms. The overwhelming response is that we listened to their questions, and answered them in a way they could understand. While I have worked in other areas of law, I have found that my passion is in working with families that want to make sure they have a plan in place to protect their decisions and their assets. You have worked hard for your assets, whether as business owners or by being smart with saving, and you should be able to protect and preserve those assets as much as possible. I have been through the tough decisions not only with my clients, but with my own family as well. It was a learning process. When you add the emotional aspect of watching your loved ones sick, getting through this complex area is more difficult. I am able to bring that experience to my clients and help them through the process of setting out their wishes and choosing people that will help make the tough decisions while respecting their wishes if they are not able to themselves. It is important to me that my clients understand the different types of trusts. I recently met with a family. The man apologized for asking me to explain it again. He was just a chef and didn’t understand these legal issues. I said that’s ok, I really can’t cook. He can stick to being a chef and I will be the lawyer. Just because we have different areas of expertise does not mean he was not smart. It is also important to me that I serve my local community. I am currently on the Board of Directors for the Bar Association of Northern San Diego County as well as a local non-profit organization. I am an active member of the State Bar of California, Medicaid Practice Network, the California Association for Nursing Home Reform, California Care Planning Council, the National Association of Elder Law Attorneys, and volunteer at my kids’ school. I speak at many educational events. In addition to offering educational workshops to families, I have been a guest lecturer for other attorneys through the North County Bar Association and LiveCLE on issues involving elder law and estate planning. I have also been a guest lecturer for the National Business Institute and California Legal Assistant’s Association.